Mutual Fund Portfolio Tracking | Important Metrics & Why should you do it? You are here: Home / Mutual Funds / What is Portfolio Tracking and Why Should I do it? If you frequent personal finance websites like Relakhs, you are probably familiar with the concept of mutual funds, and have probably invested in them. 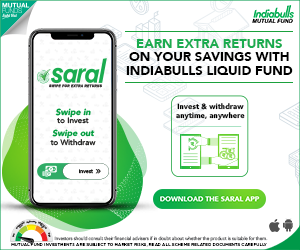 If you’re not a mutual fund investor, you still probably have heard of mutual funds, thanks to the AMFI’s (Association of Mutual Funds of India) Mutual Funds Sahi Hai campaign, aimed at educating and spreading awareness about the concept and working of mutual funds. With Bollywoodesque ‘How To guides on investing in mutual funds’, the AMFI’s drive to increase investments in Indian mutual funds is a determined and vigorous campaign, which makes complete sense because AMFI is an association of SEBI-recognized Mutual Fund Houses, and it works in their interest to have more Indians invest in mutual funds. In India, there is no shortage of websites and How To Guides that provide information on how to invest in direct mutual funds, sign up for a KYC (Know Your Customer document), and how to pick a good basket of funds to invest in. The last part is important because each investor has to invest in a portfolio that makes sense for them, taking into consideration their income, financial goals, age and risk-appetite. I’ve Invested in Mutual Funds, set up a few SIPs. Now what? Great question. While it would be nice to forget about your investments and come back to them in seven years to pleasantly discover that they have doubled in rupee value and beat inflation rates, that unfortunately, wouldn’t be a prudent decision. 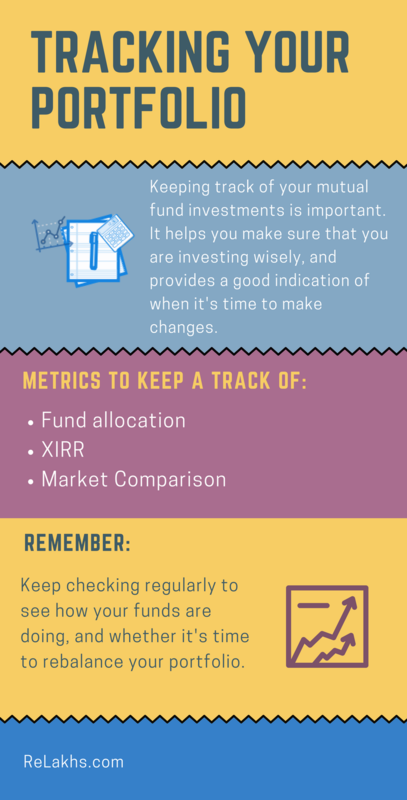 It’s important to keep periodic track of your investments to see how they are doing, and to do some reallocation along the way to move your funds according to your changing life circumstances and market performance. This is called portfolio rebalancing, and it’s very important that you have the most up-to-date and accurate information about your portfolio so that you can make the best decisions. If you spend hours tabulating your investment information in a spreadsheet, be careful about calculation errors. We’ve all made them. I have too, and once discovered that I was tens of thousands of rupees poorer than I thought I was! If portfolio tracking takes too long for you, it probably means that you’ll lose interest in doing it often enough, and you won’t be able to make informed decisions about your investments. There are different kinds of mutual funds, depending on which type of assets the fund invests in. For instance, equity funds are mutual fund schemes, where more than 65% of the funds are invested in equity shares of domestic companies. Debt funds invest in fixed income instruments such as Corporate and Government bonds, are lower-risk investment options for those looking for better interest rates than their bank’s savings accounts/ fixed deposits. Keeping a track of fund allocation is important to ensure that it is in line with your risk tolerance and future money requirements. As your portfolio appreciates over time, the ratio of equity:debt could possibly change. For example, if you start with a 50:50 equity:debt allocation, and if you leave your portfolio untouched for a year, it is possible that by the end of the year, the allocation could have changed to 60:40 based on the rate of appreciation of the funds. Young Person at the start of their career, with a secure monthly income: 100% equity -> 50% in large caps, 30% in small/mid, 20% in sectoral. If you know you have a cash flow requirement in the near future, move the fund to a debt or liquid fund once the fund is out of exit load. Middle-aged Person approaching retirement: If your source of monthly income is not going to be as frequent once you retire, you have to make sure that your money will be available to you when you need it. This is a good time for you to start moving the quantity of required money into safer debt funds. This is why portfolio rebalancing is important. Take time at periodic intervals (at least once in an year) to see the fund allocation of your investments, and ask yourself if you are on track to meet your goals. Do you have about six months of expenditure in liquid funds for an emergency? If you have a big expense coming up, should you start moving money into a debt fund? These are some of the important checks. Vn= value of money today. Vnwould be the value of those funds today, with appreciation. Each time there is an additional purchase of funds or redemptions, we add more V’s to the formula, and then we solve to determine the value of r, which gives us the XIRR value. What this calculation allows us to do is prorate the gains on funds depending on the time frame that we have held them for. Once you’ve invested in a fund, it’s important to see whether your fund manager is picking the right assets for the portfolio. Two factors that impact the performance of your portfolio are market timing (how the market was performing at the time that you invested) and the selection of assets in your portfolio. Market timing is something that investors cannot fully control. We don’t always have money on hand when the time is ripe for investment, and our investment decisions are often influenced by our own capital flow, which doesn’t always correlate with the market. What we do have control over is our decision to move to another fund if we have reliable evidence that the fund we are currently invested in is not performing well. To do this, it’s important to nullify market timing, and ask ourselves what our returns would have been if we had, instead of purchasing in a particular fund, invested the same amount of money at exactly the same time in a benchmark index. For instance, how would your portfolio have performed if you had put all your money in the BSE Sensex instead of investing in “X” fund? To do this, you will have to compare the XIRR of your funds against the XIRR of a benchmark index for the same period of your time. This will show you if your funds are outperforming the market, as compared to a similar asset class/category. Please note: these graphs show sample data only. Now let us take a look at the XIRR of these funds for the past one year, and compare it with the XIRR of the benchmark index for the exact same time, including the identical pattern of cash flows as in each fund. In this graph, the green bars show the fund’s XIRR over the past year (so for instance, as of 23rd January 2018, they show the fund’s XIRR from 23rd January 2017), and the grey bars show the benchmark index’s XIRR over the exact same time period. Remember, the reason why the same benchmark XIRR can be different for each fund is because it replicates each fund’s transaction pattern, with varying investment amounts and cash flows. Here, for instance, we can see that the HDFC Capital Builder fund has outperformed the BSE 200 by 13.32%. That’s great news! 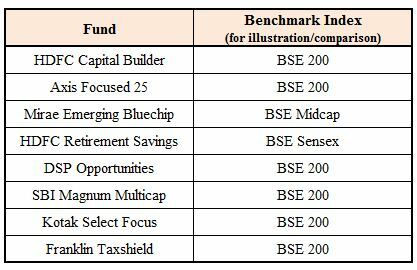 Mirae Emerging Bluechip fund, on the other hand, has under-performed the BSE 200 by 8.03%. Does this mean you should leave the fund? That depends. Some funds take a longer time to outperform the market, and your decision to leave depends on you. Think about how soon you need this money and whether you’re willing to take a bet on this fund. If funds are consistently underperforming the market, it’s time to move! This Seems like a Lot of Information and Hard Work! Yes, it is, especially if you are investing in direct mutual funds, and are investing using different portals and fund house websites. 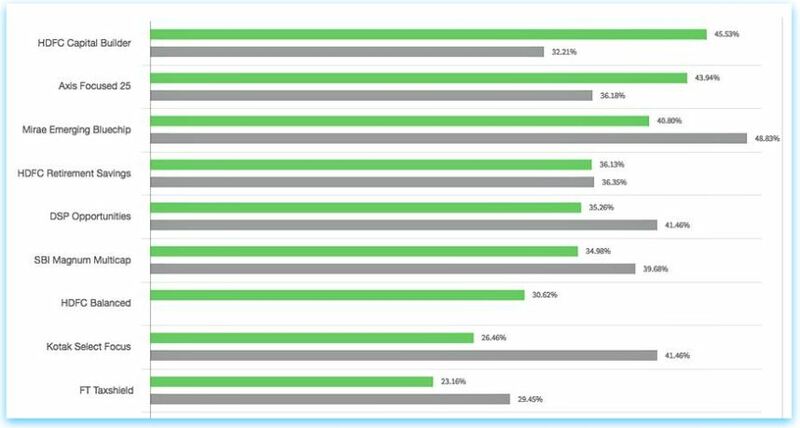 This fragmentation across platforms can cause a lot of “tracking and calculation fatigue” and make you feel like giving up. However, portfolio tracking and rebalancing is important, and can be easy once you get the hang of it. It’s important to rebalance your portfolio to avoid a “drifting portfolio” that can you put you in a riskier situation than you had intended. The mutual fund industry in India is evolving (albeit slowly) to provide individual investors with better technological tools and more transparency to help them make more informed decisions about their investments. This is good news! Today, there are multiple platforms in India to invest directly in mutual funds and to track the performance of your portfolio, either by uploading statements, or automatically. Choose the one that makes the most sense for you and keeping tracking the portfolio to make sure you’re investing wisely. 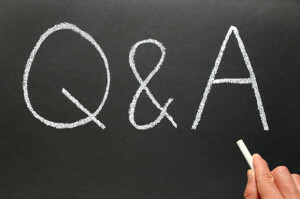 This is a guest post by Pranshu Maheshwari of SimpleMoney. 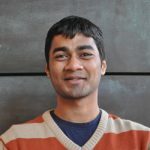 Pranshu is the CEO and Founder of SimpleMoney, a Y Combinator backed startup that allows investors in Indian financial markets to keep track of their investments for free. He was previously founder of Prayas Analytics and Metricboy, and launched SimpleMoney in 2016 to solve a problem that frustrated him everyday – the problem of tracking all his investments across multiple portals. Pranshu is an alum of the Wharton School of Business. Kindly note that ReLakhs.com is not associated with Simplemoney. This is a guest post and NOT a sponsored one. We have not received any monetary benefit for publishing this article. The content of this post is intended for general information / educational purposes only. Pranshu Maheshwari is the CEO and Founder of SimpleMoney, a Y Combinator backed startup that allows investors in Indian financial markets to keep track of their investments for free. He was previously founder of Prayas Analytics and Metricboy, and launched SimpleMoney in 2016. Pranshu is an alum of the Wharton School of Business. Could you please help me choose between these 4 funds. I want to pick one among these in mid cap. Or do you suggest some other fund. Please advise. Suggest you to kindly go through the fundamental changes (if any) proposed on these funds or not. Then you may take a decision (as SEBI now allows only one fund under each fund category). On the face of it, L&T Emerging business fund can be a good bet. I’m looking for funds with no or minimal entry/exit loads. I dont want to go too conservative on this fund, because i do have other sources for money in need. So my risk profile for this fund would be moderate. Please provide your opinion whether above funds can be suitable for me or suggest me if u have any other funds. What’s your opinion on investing on Credit Opportunities Fund for the above fund? Ex : Franklin Ultra short / Franklin Low Duration Fund / SBI MIP Floater fund.. Considering the bad state of affairs with ‘Credit’ of corporate companies, may be it is prudent to avoid credit Opp funds for time-being. These funds primarily generate returns from interest accrual, typically investing in higher yielding but lower rated (AA or below) corporate bonds. When i checked in moneycontrol i could see Franklin India Low Duration Fund as a credit opp fund. So as you advised to avoid credit opp fund for time-being, its applicable for this fund also right ? Yes, category wise it is a short term debt fund, but as per the current fund portfolio it can be treated as Cr opp fund. I have just given it as an example as you have asked for Credit opp fund. I have decided to invest in Franklin India Ultra-Short Bond Fund – Super Institutional Plan – Direct Plan (G) . I already have an ELSS fund with this fund house. So should i invest this in the same folio(of ELSS) or a new one. Which is better? You will be allotted new Folio for Debt fund investment by Franklin. I have invested some amount in Franklin India Ultra-Short Bond Fund – Super Institutional Plan – Direct Plan (G). This was primarily set up for my short term needs within 3-6 months. I have invested last month (April).But after investing i tracked the fund for 3 weeks now. I could see the returns of this fund has been low compared to liquid funds for last 1 month. Is this any indication that this fund is going to perform low from now onwards? Franklin Fund has 72% allocation corporate debt,Is this the reason for the current downturn? What is your opinion shall i move my money to any of the liquid funds like ABSL FRF STP Fund? In a rising (anticipated) interest rate scenario, debt funds may not do that well. If your requirement is just to meet Emergencies, you may switch to a Liquid fund. Is there any good strategy like in what kind funds you need to invest depending on different market conditions? During a bull run, which is better ? Large cap or Small cap SIP ? During a bear run, which is better ? Large cap or Small cap SIP ? During a bull run, which is better ? Equity or Debt ? During a bear run, which is better ? Equity or Debt ? How portfolio allocation should be on a bull and bear run? If my horizon is say 5 years, I just start investing in an equity oriented balanced fund. By any chance if market soars after my investment, will try to re-balance may be from 3rd year onwards to safer bets. The actual condition and risk taking ability of individuals plays an important role. Also the past performance may not ensure that a particular fund will repeat the same or still better performance.it is always better that we predetermine our expected return and once this is achieved rebalance the portfolio.After all paper profits won’t make us rich until they show up in our bank account.Mutual funds will definitely give better returns than some other traditional avenues but greed should not override our investment horizon. Thank for sharing your views. Procrastination & too much Greed are the biggest issues keeping people away from Financial Success. Really amazing Work,thanks for sharing such valuable information with us. Thank you very much – much appreciated! Thanks a lot for your feedback. I completely agree with you that using email inboxes to track investments is an unusual way, and it raises a lot of security concerns, especially because of the number of stories we hear about data breaches. We are using this method because it is currently the most effective way for automatic tracking of portfolios. Data security is very important to us. We’ve built SimpleMoney with the same level of data security as financial institutions. We have very strict controls about human access to any information; even as CEO I don’t have access to the tokens necessary to access inbox data. All this information is securely stored on an encrypted server which is not human-accessible. Other standard security protocols include storing financial data in separate locations from the PII/inbox data. We use 256 bit encryption for all our data. Finally, we ignore all emails unrelated to investments (you can actually see our open sourced code for the same here: https://goo.gl/RLUwf2). This is certainly an odd way to build a portfolio tracker, and it is a jump in privacy comfort levels for many people. But it is the only automatic way to track your entire portfolio. The only other alternative is sharing the actual usernames & passwords to your banking accounts, which is extremely dangerous. But I completely agree with you – there is a lot of (understandable) reservation and we are constantly working with users and investors to address their concerns, and to keep increasing our data security levels. I am using simple money, but why can’t you use NSDL, CDSL CAS so that you can have all segments of information and also you will not use user’s inbox for the customers who do not wants to give email access. By the way, product is way good but still you can do lot of improvements. The reason that we request email access (Read only, and we our AI tool only reads investment related emails) is so that in case if any information is missed in one source, we have other ways of verifying it to ensure most accurate data. We take statements from fund houses after any transaction also into consideration so that the information is updated sooner. This helps us calculate metrics over the long term such as XIRR which provide intelligent data to make better investment decisions. Using only the NDSL/CDSL CAS will not give us transaction details beyond the last month which limits the amount of analysis we can provide. We do use them to track users’ equities, which is our latest feature. Thank you for your feedback on SimpleMoney. We agree that there’s a lot of improvement that’s possible. We would love to hear your suggestions if you have the time. You can reach us [email protected]. Thanks a lot! Thanks for reply, agreed for CAS transaction tracking. I have checked your source code too. 1) System tracks HDFC bank Ltd. and HDFC bank Limited as two different company. 2) Left hand side transactions are updated but right hand side quantity of shares are not updated, its comes as per last CAS/DP data. 1) monthly/quarterly consolidated email like CAS. 2) As you are getting contract notes from mail id Hence, you can put the buy date, buy price, cmp etc in equities. 3) more colorful and user friendly UI/UX.